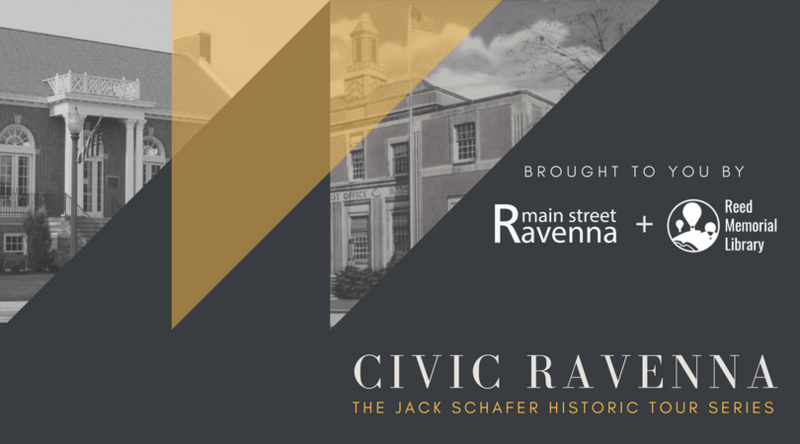 Reed Memorial Library, in partnership with Main Street Ravenna, will present a walking tour about civic Ravenna on Tuesday, September 25 at 5:30 pm. Enjoy a walk downtown while learning about the stories and history behind the city’s most prominent civic buildings. Buildings will include the post office, library, courthouse, and city hall. Architect, Doug Fuller will assist in these tours. Meet at Reed Memorial Library. Tours are weather dependent. Please dress accordingly and wear comfortable walking shoes. Registration is required and space is limited for tours. Call 330-296-2827 x200 to RSVP.